Welcome to the start of another magical release from Papertrey Ink! Today I have three projects to share with you showcasing the new set by Jennifer Campbell, Floral Fantasy: Christmas. Starting off I have this whimsical card made with that big beautiful tree. I used three different blues and some water to create this soft color and wrapped some twine around it for a fun Christmas touch. My second card shows a fun way to use sentiments on the deer die cut without it’s coordinating stamp. The beautiful flowers and tree finish it off and a touch of purple seam binding adds a fun flair as a scarf for the deer. And lastly this gift card tag is made beautiful with the stamp that originally was made for the deer and gold pigment ink accents the foliage surrounding it. The dies added in the set to coordinate perfectly with the sentiments are just the topping on the Christmas cake for this set. Thanks for stopping by and I will see you all tomorrow for more Papertrey fun! Welcome to this week’s edition of Throwback Thursday with Papertrey Ink! Today, Betsy, Melissa Phillips and I are revising the Counting My Blessings stamps and die set. 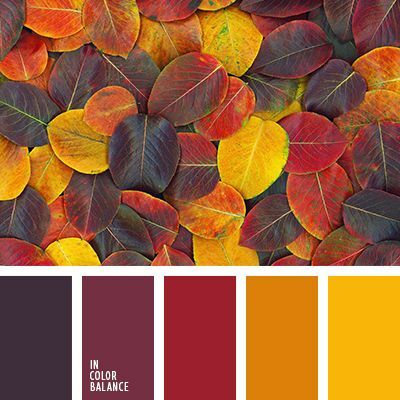 I used this color scheme as inspiration for my card, coordinating the Papertrey colors: Royal Velvet, Amethyst Allure, Scarlett Jewel, Summer Sunrise and Harvest Gold. Obviously the colors aren’t a complete match but they are similar enough to where the color scheme still works. If you are ever in need of some color inspiration, don’t be shy to search them up on Pinterest!! There are so many out there that are sure to lend some spark for your imagination. I used the colors on the border from Seasonal Borders: Autumn and coordinated the sentiments above and below (from Counting My Blessings). I kept my background relatively light by cutting the Stitched Cover Plate from Rustic White card stock and layering it atop Bitty Big: Kraft. All together I think it turned out just lovely and festive. Hey all! Today I am showing off this month’s Glorious Globes set in Lizzie Jones’ series. I decided to keep this card muted in color and kept the main focus on the sentiment from Betsy Veldman’s Words to Live By: Peace. Welcome to day 2 of Papertrey Ink’s October release!! Today’s products are some of my favorite series that are released each month and I hope I show you why! Starting off with Corner Adorner: October which has quickly become one of my all time favorite series. This month has a beautiful bow with bells and the sweet and simple “Deck the halls” sentiment. I created a block in the background of my card using the Sentiment Staples set. The card is finished off with a few black paint splatters. Warm and Fuzzy is the sweet and cozy stamp set that’s out this month and it comes with many options for different socks and mittens you can put together. I paired mine with the embossing die from Betsy’s Shape Shifters Square 3 this month which I used to create an argyle pattern. Thanks so much for stopping by! See you tomorrow!